I'm almost ashamed to admit I've started a new quilt with about 7 UFOs on my list already. I'm a finisher so it is against my nature to be juggling this many projects. And I'm close to finishing none of them. Oh well. 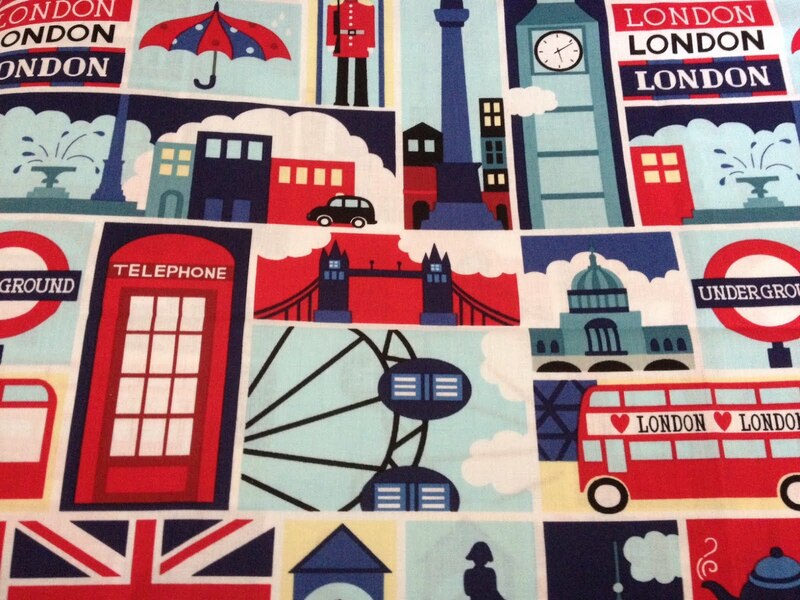 My new project is a London 2012 quilt. It hit me one day when looking at these items on Cath Kidston that the Diamond Jubilee for the queen is just around the corner. And that will be followed up by the 2012 London Olympics. I'm 1/4 British. How could I not make a quilt commemorating these 2 events??? One thing that makes planning a London quilt so easy is the great fabrics that have come out lately. 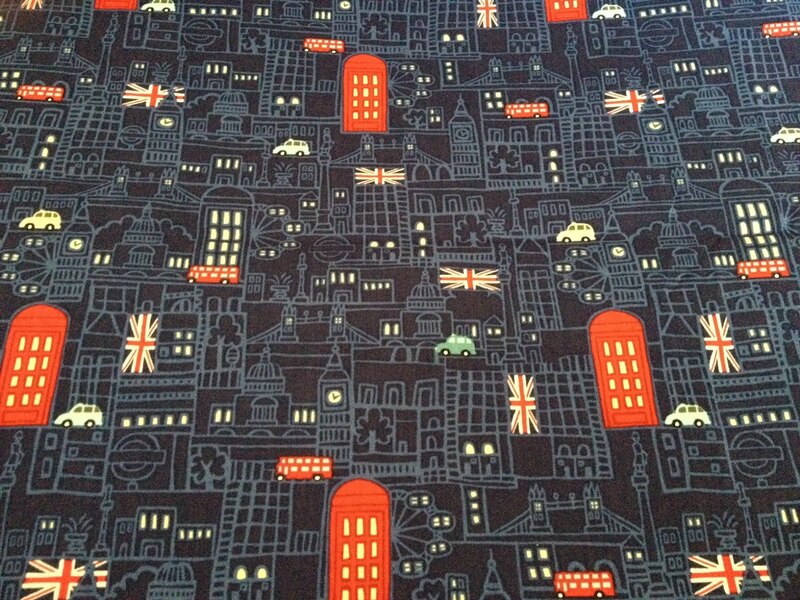 This is from the Cool Britannia line by Benartex. I love all the London icons. This is from that same line. 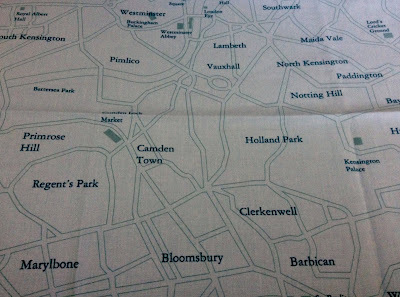 Maps and graphics fabrics are very popular. 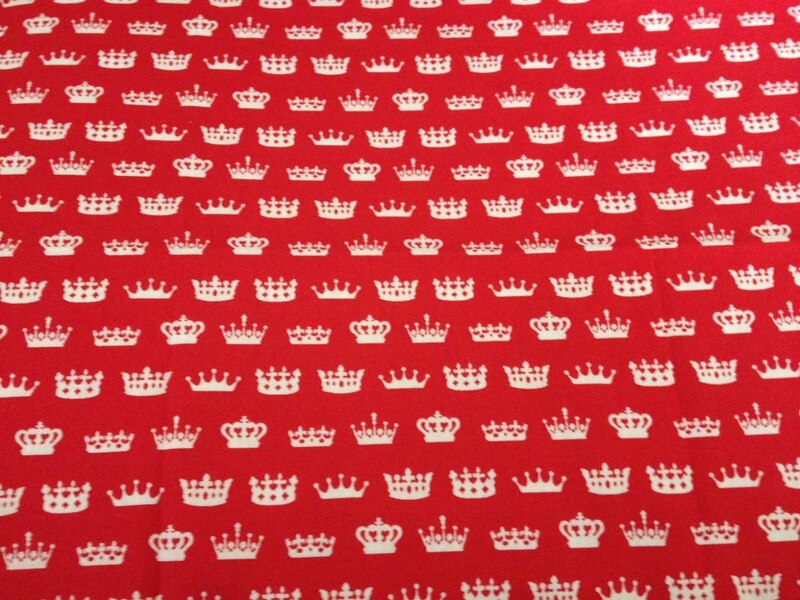 What quilt commemorating the jubilee would be complete without crown fabric? London at night is very pretty. I have so many ideas swimming in my head from these fabrics. 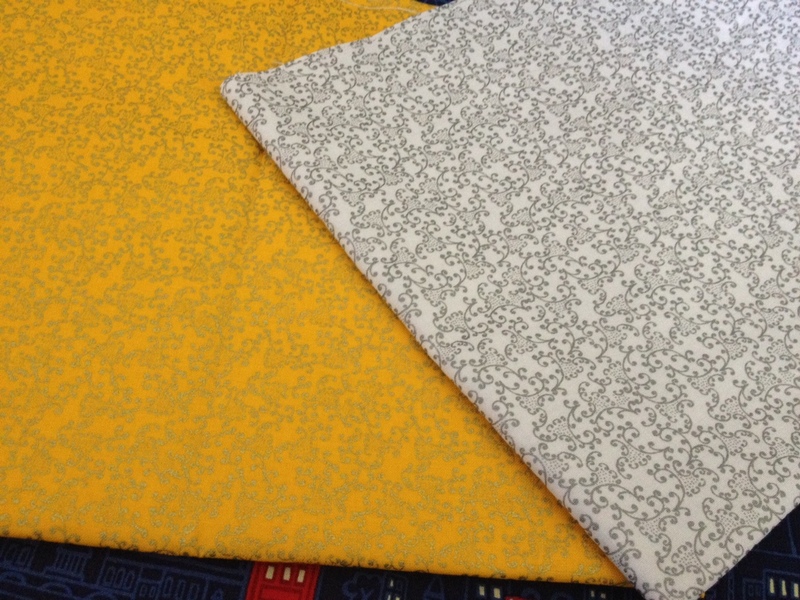 I pulled these two glittery fabrics that might be used for crowns. 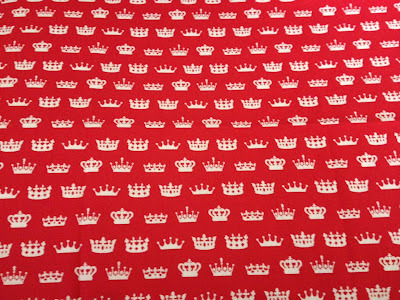 I first showed this fabric years ago and found out from smart fabric gals that this is a vintage fabric that was made to commemorate the crowing of Queen Elizabeth. 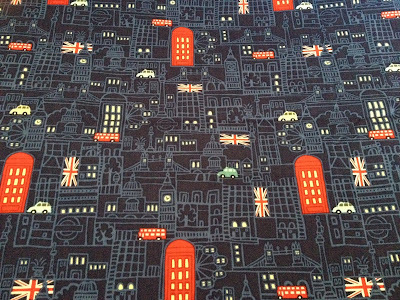 I remembered I had this fabric tucked away when I decided to make a London quilt. I'm most excited about using this little piece of history in my project. I've been making a few blocks. The rose is England's national flower. So I have to have roses in the quilt. Dave said he thought it looked like the Olympic torch and not a rose bud. But my kids all said they saw a rose. After thinking about it, I'm ok with either one since they both go with the London 2012 theme. 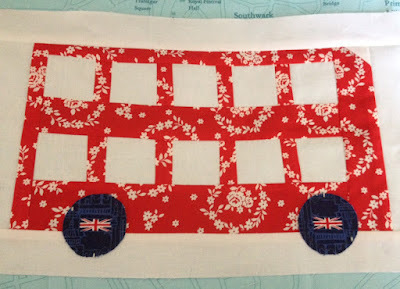 I still have to applique the wheels on the double decker bus, but this was really a fun block to make. I've always been fascinated with double bus idea. There are lots of icons I can choose from for my quilt. I have a Big Ben block I'm working on right now. Of course I'll have teacups and teapots, too. It is going to be good, I hope. I will try to fit time in for other projects as I work on this new quilt. But a new project always gets me so excited and being creative makes me happy. fun fabrics. I really like the one with the queen on it. I truly depend upon you, Nanette, for your FFF. I love this line and have never seen it before. I'm Scotch-Irish from my mum's side. Love the line and I love those places because I have been there a few times. My brother was stationed in England, I should totally make one for him. You have to let us know where you got your blocks they are too cute. No worries about UFO's!! Always fun to start a new project! LOVE the bus!! Have fun. What a fantastic idea! This is the best time to make it even if you do have others in the works. You'd be sorry if you put it off - right? the rose block and double decker bus are amazing. london is an awesome place, but i couldn't understand a word those people were saying when i was there. i thought it'd be easy, but their english is WAY different than mine!!! keep calm and quilt on. Sounds like a super idea, the fabrics are wonderful. And the block looks both like a rose and flame.. Perfect fabrics for the theme too! Happy sewing! Oh, I love the bus! That is way neat. I've been tempted by the Britannia line myself. Can't wait to see what else you create. Now you've done it again. I know you'll make a London quilt to please any queen. You provide such great inspiration to us all. Thx. I just finished the "berry" quilt top and love it. I also got Necco wafers for Mother's Day. Love your blocks! 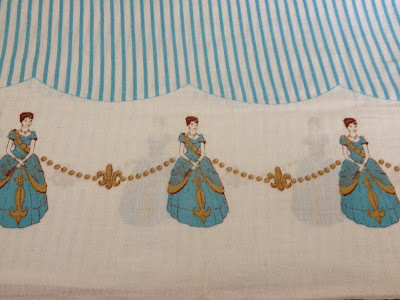 The Queen fabric is sooooo awesome! As usual your creative ideas wow me! Love your double decker bus and the roses. 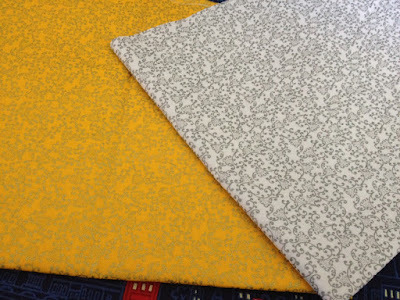 Lots of great fabrics to choose from in your collection. The vintage Elizabeth is really cool! That double decker bus is about the cutest thing I've ever seen. How about a quilt with those red phone booths? I think I love the double decker bus the most too, especially with the fussy cut flag wheels. You continue to keep the title of Fussy Cut Queen! I just love the bus, I love it so much that I have decided to make it for my grandson, as I have made a quilt and bunting in some of the Benartex range for him. We are off to stay with my son in London for the Jubilee celebrations. We will be going to the Water Pageant down the River Thames when most of the Royal Family will be there. We will be at the beginning at Battersea Park where there is also a Vintage Fair. The next day there is a procession from St. Paul`s Cathedral to Buckingham Palace. It should be good fun, as long as the weather is OK - being the UK it could rain! Oh yay! what a neat project. Can hardly wait to see what all you do with it. Great fabrics, too. And I think it's better to have more than one going at a time. Gives you a change. Oh Nanette. 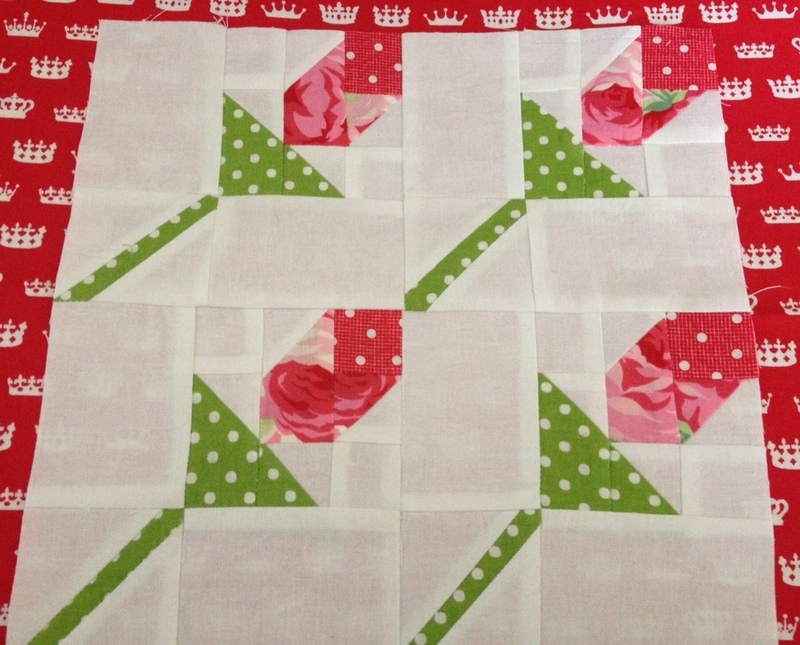 You KNOW I'm LOVING this quilt!! That double decker bus is to die for! I can't wait to see what else you create. I may just have to copy this one. My goal is to have my Union Jacks all put together finally for the Jubliee weekend. Thanks for the additional motivation and inspiration!